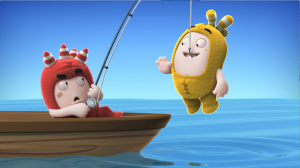 Singapore-based studio One Animation has appointed RP2 as the master toy partner for Europe for its newly launched CG-animated slapstick series Oddbods. A range of plush toys and figurines that directly mirror physical comedy storylines from the short-form series is expected to launch in early 2016. 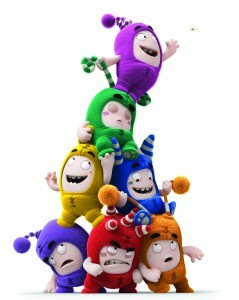 Oddbods follows the comedic misadventures of a group of seven colorful characters, each with their own distinct personality, and is targeted to kids and families. After a successful trial in France in December 2014, Canal + kids channel Télétoon + debuted Oddbods in February this year on its PTDR cartoon slot. That same month, Carlene Tan was brought on as One Animation’s business development director, and in March the popular series made its US premiere on Disney XD. 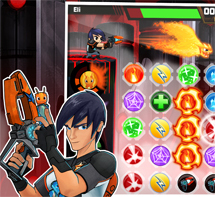 One Animation has previously worked on hit series Rob the Robot and is currently in production on new 52 x 11-minute adventure comedy series Insectibles.